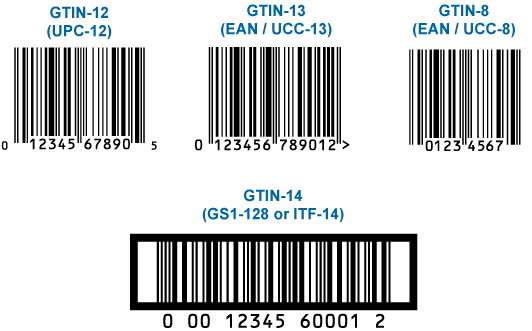 GTIN describes a family of GS1 (EAN.UCC) global data structures that employ 14 digits and can be encoded into various types of data carriers. 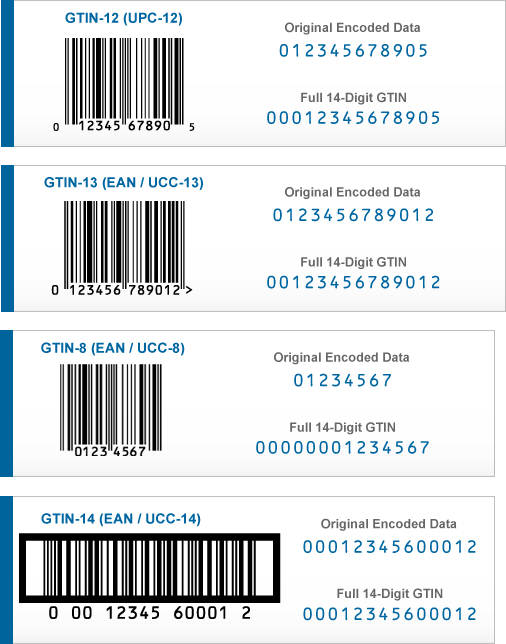 Currently, GTIN is used exclusively within bar codes, but it could also be used in other data carriers such as radio frequency identification (RFID). The GTIN is only a term and does not impact any existing standards, nor does it place any additional requirements on scanning hardware. For North American companies, the UPC is an existing form of the GTIN. Today, five symbologies support this GTIN data structure: UPC; EAN; ITF-14; GS1-128; and GS1 Databar (formerly Reduced Space Symbology). Of these, ITF-14, GS1-128, and GS1 Databar employ 14-digit data structures of which the 14th character is a packaging level indicator (i.e., item or case). Both UPC and EAN have an implied packaging level of a single item. Therefore, these symbologies support the GTIN data structure without changing the number of encoded data characters. Retailers who accommodate GTIN have made important changes to their original database structures because the full 14-digit data string must be processed and stored. Since the inception of bar codes with the UPC more than 40 years ago, hundreds of thousands of possible number combinations have been issued as manufacturer or company prefixes. GS1 has continually changed the standards of the issuing numbers, since GS1 standards are being integrated by other industries and more companies are requiring prefixes. Due to the limitations of early technology and programming, a sunrise date was established in the early 2000’s to prepare retailers and manufacturers for the changes.. Please click here for information about the Sunrise 2005 initiative. To learn about GS1 and additional barcode/numbering requirements, click here. 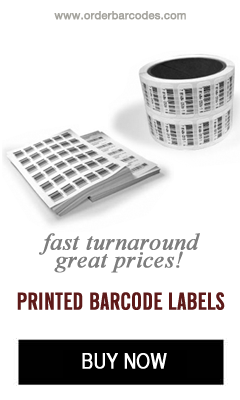 www.gs1-us.info is tutorial website provided by Bar Code Graphics to educate for companies who require UPC barcodes. www.databar-barcode.info is our educational website covering GS1 Databar, which is a barcode family commonly used for produce and coupons.